Evan Guthrie leads the Start of Stage 5. 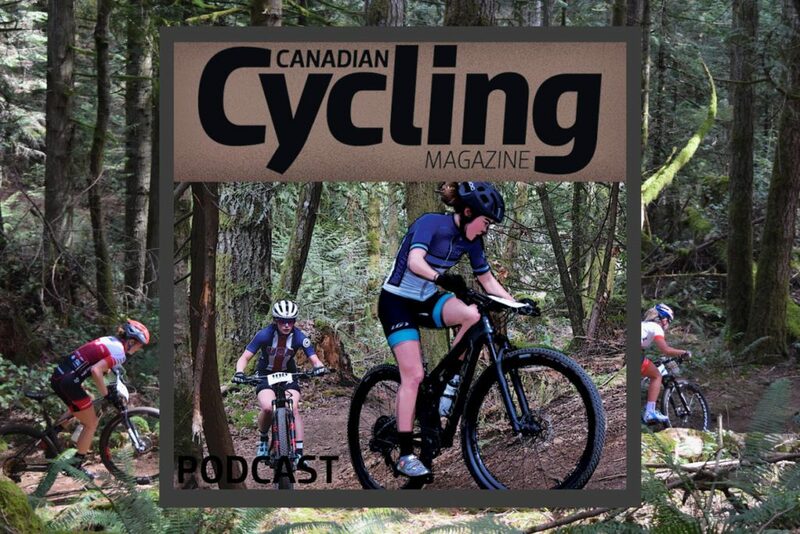 The fifth stage of 2018 Singletrack 6 landed in Vernon, B.C. and the town seemed intent on making the most of the race’s visit. A lakeside start in Kal Park sent racers headlong into a 20km climb to the top of Big Ed. With four days of big climbs leading to fun descents already in this year’s Singletrack 6, racer’s had faith that this extended climb would pay off. The reward was 20 minutes of rocky features and steep chutes down Big Ed before the race arrived at the days timed descent segment on Twisted Sister. Jena Greaser has been the Queen of consistency this week and proved her skills again today in Vernon. Greaser won her fourth stage in five days of racing, solidifying her lead going into the races final stage at Silver Star Resort. Behind Greaser the standings were shifting, though, showing that just one off day in a stage race can still have a big impact on standings. Elyse Nieuwold has be steady in second place all week, but a fifth place in Vernon, partially due to a slow leaking flat tire at the top of the Big Ed descent, allowed Mical Dyck to slip past Nieuwold into second on the overall. Dyck Finished second on the stage, with Kristien Achten making her first podium appearance of the week in third. Rebecca Beaumont’s stage win at the top of Kicking Horse resort proved the Peppermint rider had descending chops, which she backed up Wednesday in Vernon. Beaumont won the timed descent section down Twisted Sister with a time just 0.3 seconds faster than Dyck. Evan Guthrie extended his lead in the Men’s overall again today, finishing 20 seconds ahead of Justine Lindine. Like Nieuwold, Lindine is in a position of trying to gain back time lost on a bad day. Lindine slipped from the race lead at the Kicking Horse after winning the opening two stages. Chris Baddick finished in third. Rounding out his effort to #makeXCgreatagain, Guthrie also added another timed descent win by narrowly edging out Simon Andre in the run down Twisted Sister. Guthrie had an open course ahead of him, and used that to his advantage to extend his lead in the race-within-a-race over Santa Cruz’s Chris Johnston. In the 40+ categories, Carey Mark and Tomi Misser both extended their lead at Kal Park. Neither racer has lost a stage yet in the 2018 Singletrack 6. After crossing the finish line, many racers headed straight into Lake Kalamalka to cool off before settling in for the night at Silver Star Resort, where they will start the final day of racing in this years Singletrack 6. Beowulf, the bike park’s newly finished purpose build XC trail, will be the feature trail for a suitably epic conclusion to six big days of racing on B.C. singletrack. The start of Stage 5. With descents that push what could be considered "XC," flat pedals aren't the worst choice. Philippe Lebeault of the Men's Team 80+ category, currently sitting in second. Happy to be done another stage. One more to go!